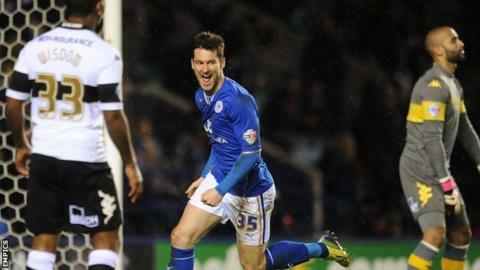 David Nugent has been offered a new three-year contract by Championship champions Leicester City, BBC Radio Leicester reports. The 29-year-old scored 20 goals in 44 league starts and appeared in every Championship fixture as the Foxes dominated the division. Nugent's deal runs out this summer, but he has stated his desire to stay. Former England international Nugent previously played in the Premier League with Portsmouth and on loan at Burnley.